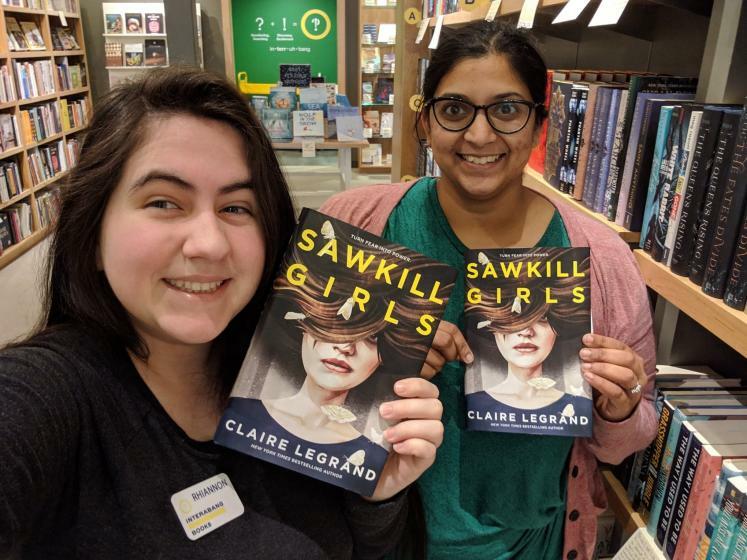 This month we are reading Sawkill Girls, an eerie mystery about the disappearances of several girls on the island of Sawkill Rock. Val, Marion, and Zoey are three girls who dig deeper, and fight harder, to end the disappearances and uncover their cause. Ultimately, this novel is about girls, perhaps best represented by this quote from the book, “Girls hunger. And we’re taught, from the moment our brains can take it, that there isn’t enough food for us all.” The heroines of this book have to grapple with internalized suspicion of each other, to discover the real enemy is an oppressive regime designed to disregard and disenfranchise them. This novel smashes the patriarchy while giving you a fantastic and magical atmosphere to do it in.